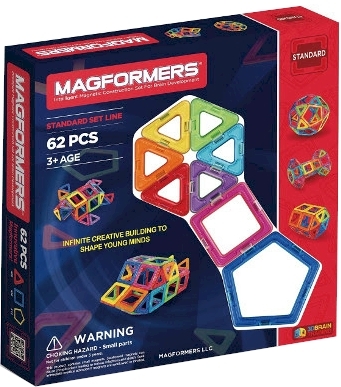 Shnoop has got the Magformers Intelligent Magnetic Construction Set For Brain Development - 62 Piece Standard Set for $59.99 with free shipping, but enter promo code DAILYCHEAPSKATEMAGS at checkout and that price drops by $2.00 to $57.99 with free shipping. This beats the last two Black Friday prices on this set, and I haven't seen a lower price on this in the last three years. Compare to Amazon's price over here or to Toys R Us price over here. Shnoop is a Daily Cheapskate trusted vendor. This price and promo code are available for a very limited time. 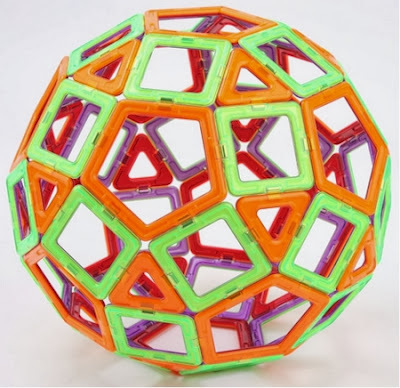 Set that includes triangles, squares and added pentagons in rainbow colors.